CREWED UP LTD began life in 1989 as Walker Turnbull Television. 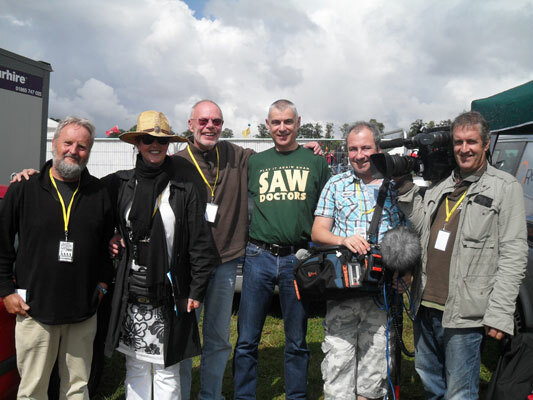 Being one of the first camera crewing companies in the North West, they quickly established themselves as a high quality PSC crewing company, along with producing a number of documentaries including TO RUSSIA WITH LOVE - CHERNOBYL 10 YEARS ON and A DRESS CALLED WANDA for Granada Television. In 1997, Mike Turnbull took the company foward, specialising solely in PSC camera crewing. Since then, CREWED UP LTD have been providing high quality camera crews for the past 20 years on productions including WORLD IN ACTION, TONIGHT WITH TREVOR MCDONALD, STARS IN THEIR EYES, TAKE ME OUT, DANCING ON ICE, THE X FACTOR, and DAVID BOWIE - AN EARTHLING for ITV; PANORAMA, EVERYMAN, TALKING TO THE DEAD, THIS IS MY FAMILY and AM I NORMAL? for BBC, and WIFE SWAP, SECRET MILLIONAIRE, UNDERCOVER BOSS and DISPATCHES for Channel 4.